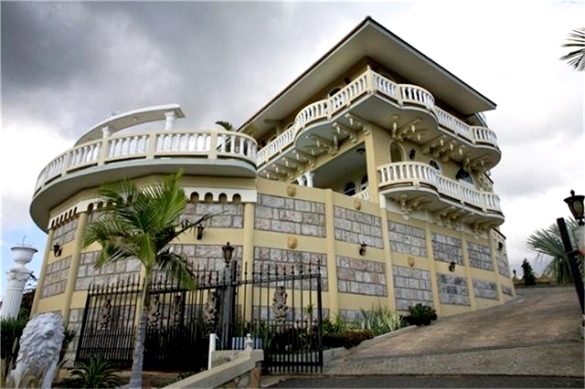 Editor’s note: The following item is republished with permission of Realtor.com. See the original article: Penetrate This: Sixteen Fortresses for Staving Off the Zombie Apocalypse. In case you’re in complete denial or have been living under a rock for the last few years, it has become quite apparent that THE ZOMBIE APOCALPYSE IS UPON US, PEOPLE. Reported horrific incidents of face-eating, intestine-throwing, arm-gnawing, hush-hush hazmat evacuations, and/or basic cannibalistic mayhem can mean only one thing: It’s high time we start preparing for the hordes of living dead that will soon begin roaming the world in search of delicious, delicious brains. Not to minimize the human tragedy here, but what’s a guy or gal to do? I never quite completed the necessary steps to earn my ‘Zombie Apocalypse‘ merit badge, nor have I any crossbow-wielding, animal-skinning, shelter-building survival qualities to get me out of a pinch, let alone the jaws of the zombie formerly known as grandma for that matter. However, what I can offer is my expertise in real estate — prime, zombie-defense real estate capable of putting those with an unquenchable thirst for human flesh at a distance from you and your family. 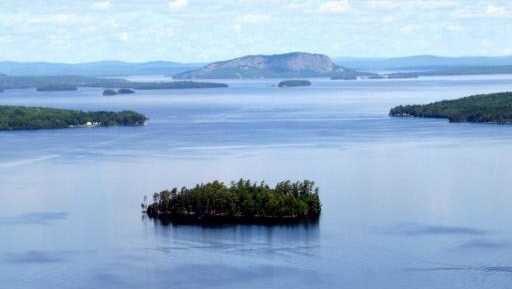 We’ll go from castles to private islands to the next best thing (if a castle or private island is unavailable). The Skinny: It features a concrete façade and a rooftop deck perfect for headshot contests. Just under 4 acres and more than 12,500 square feet, the property provides enough room to take in a roaming survivor or two, you know, to help fight off the zombie forces, grow crops and begin repopulating the Earth, etc. Pick and choose wisely, folks. Bonus Zombie Defense Feature: Two-hundred-foot wood and steel escape that leads from the main home to a private boathouse on the lake — a perfect path to the getaway jetboat in case things go horribly sour with the castle defense. 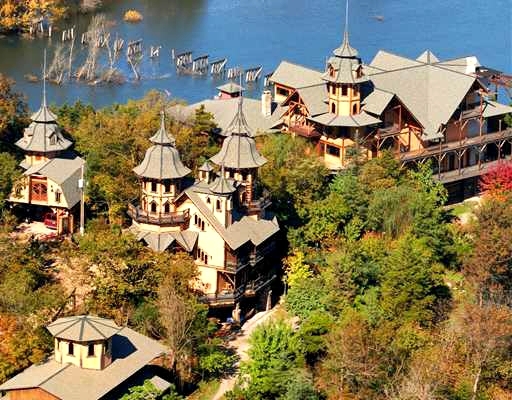 Castle Rogue’s Manor in Eureka Springs, Ark. 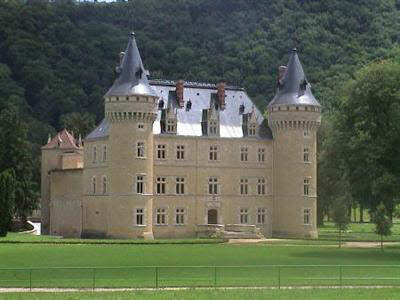 The Skinny: It’s a massive and secluded mountain castle that could potentially provide residence for the masses. 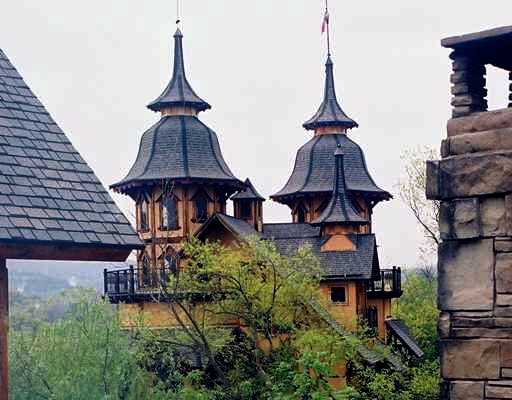 It also includes a six-floor "Gate’s Keeper" cottage, great hall and other structures. Bonus Zombie Defense Feature: A pair of guard towers and other tall structures are perfect for scouting and medieval archer (and sniper) defense. 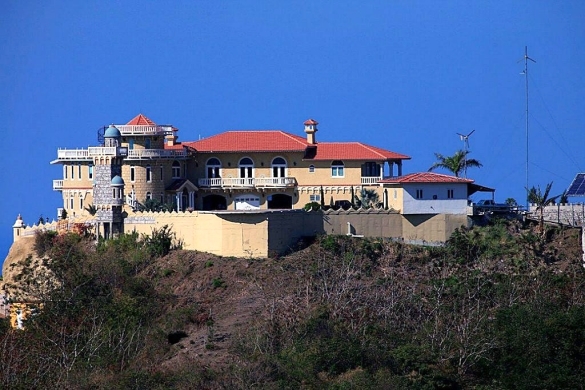 The Skinny: Puerto Rico, being an island and all, is not likely to be too overrun by the hordes; but if it is, Castle of Rincon provides a front-line defense with a prime, mountain-top vantage point with 360-degree views, stone façade, front gate and a lookout tower. Bonus Zombie Defense Feature: Two wind generators and 34 solar panels provide self-sufficient power, and, best of all, a private on-site helipad for the quick escape. 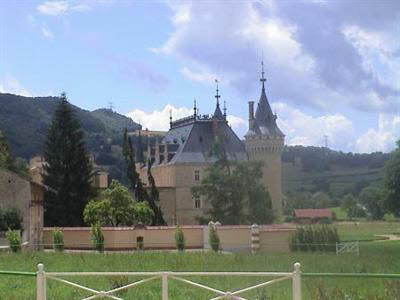 The Skinny: It’s a legit castle, bro. Bonus Zombie Defense Feature: Multiple rooms with hidden passageways and elevator access for playing a fun game of hide-and-seek with the undead. 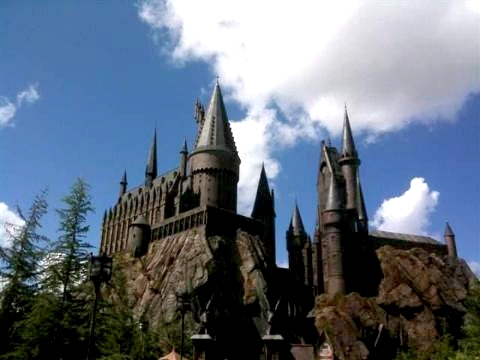 The Skinny: It’s a huge, raised, forged-from-magic castle surrounded in stone with four living sections comprising 20,942 square feet of living space and 542 bathrooms. Bonus Zombie Defense Feature: There’s bound to be a scroll detailing schematics for a defense rune, or perhaps a hex that summons giant spiders lying around somewhere. 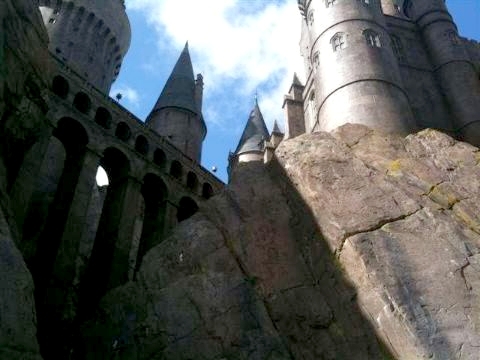 Oh yeah, and there’s also that the pet basilisk chilling in the "Chamber of Secrets." 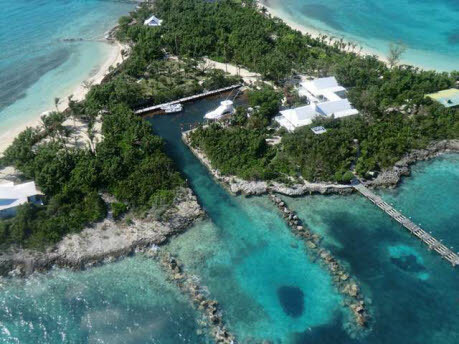 The Skinny: An 8-acre island paradise/compound called Man-o-War Cay. If that doesn’t scream zombie defense, I don’t know what does. 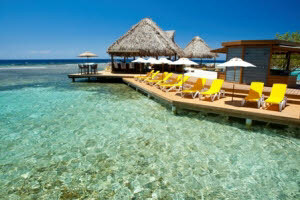 Other highlights include a 6,000-gallon-a-day reverse osmosis water maker and a pair of boat docks. Bonus Zombie Defense Feature: Five vessels, including a yacht and three whalers, along with a number of wave runners, are included in the purchase price. 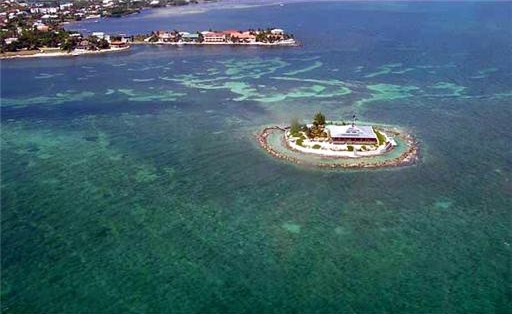 East Sister Rock Island in Marathon, Fla. The Skinny: Private, remote island with its own breaker that has been designed to be self-sustaining with wind turbines and solar panels. 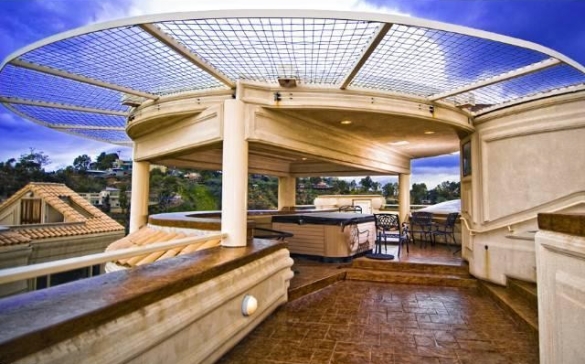 Bonus Zombie Defense Feature: Property includes not only a dock, but also a helicopter pad for making your escape, which might come in handy if the zombies pull a "Dawn of the Dead" reboot and figure out how to make a ship out of corpses. 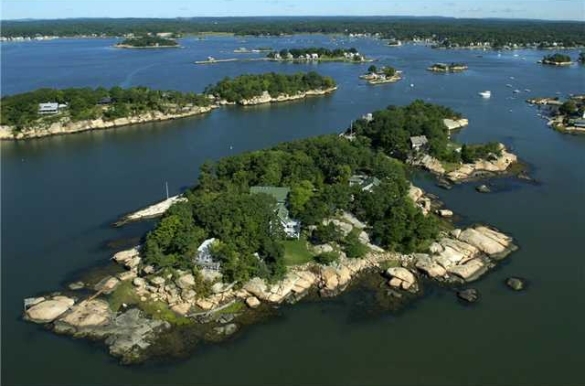 Pot Island in Branford, Conn. 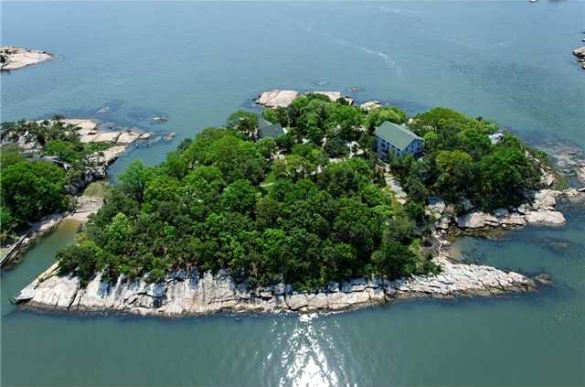 The Skinny: Formerly a bed-and-breakfast, the Pot Island compound measures 1.71 acres and is surrounded by boulders, so it offers a strong vantage point in addition to space to grow crops and to build a wooden spike barrier. Bonus Zombie Defense Feature: Having only a shallow-water dock and not a deep-water one means it would be more difficult for uninfected pirates and vagabonds to storm your land and to pillage your goods. Also, there are possibly some working Revolutionary War-era cannons for next-level defense. Hoooahh. 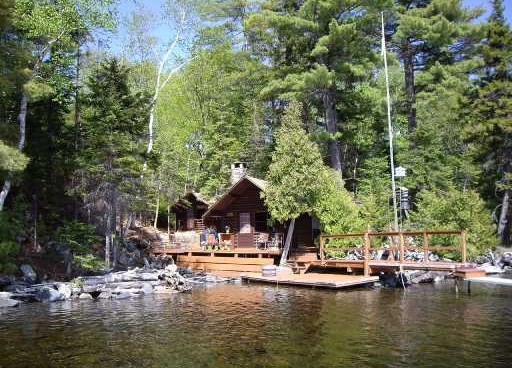 The Skinny: It’s a cheap little island and cabin combo in a big, big lake. Bonus Zombie Defense Feature: Boathouse with dock, canoe and a pair of motorboats are included — for some serious getaway options and a possible hideout. 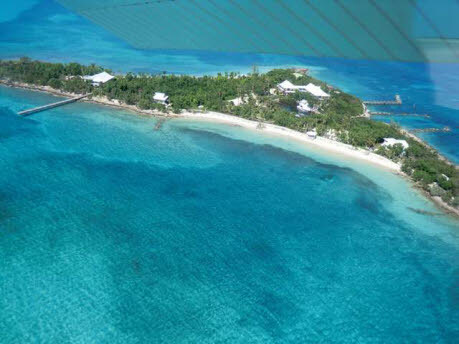 The Skinny: Not one, but two small islands set in the middle of a coral reef. 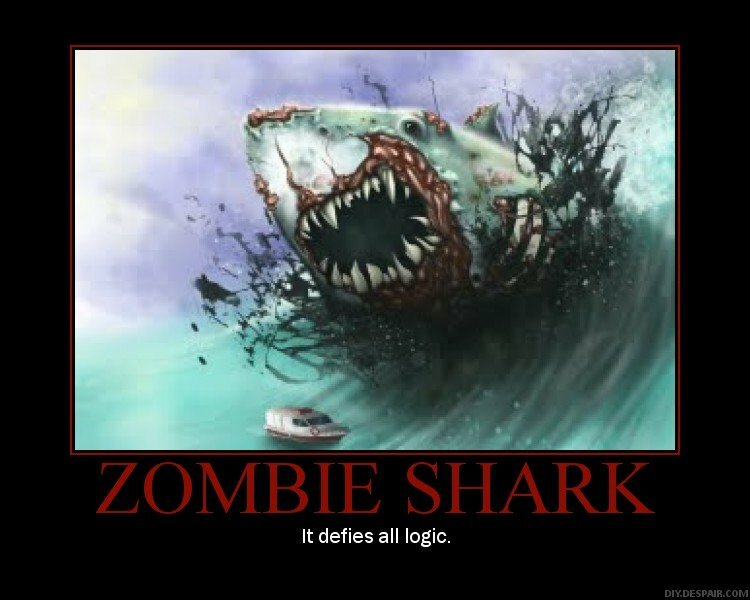 Bonus Zombie Defense Feature: Other than dodging the occasional zombie shark, who cares? It’s paradise. Epic Lake Castle in Miami, Fla. 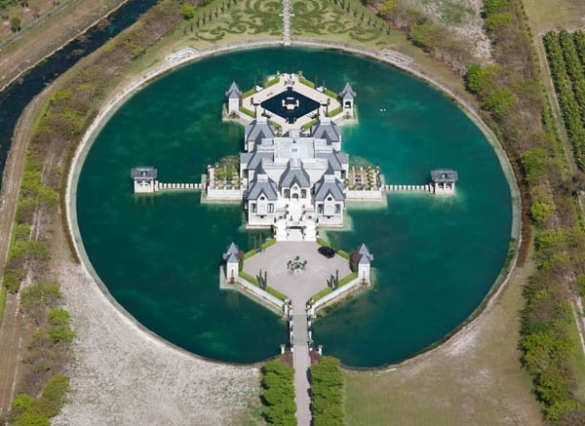 The Skinny: An insanely symmetrical, moat-surrounded masterpiece by architect Charles Sieger. While it lacks a working drawbridge, simply destroying the only path that leads into the compound would be a logical first step. Bonus Zombie Defense Feature: The dirty South rapper Birdman filmed a music video here, so there’s likely to be an automatic weapon or two that got left behind, if not that rapping alien Li’l Weezy, Birdman’s controversially adopted son. 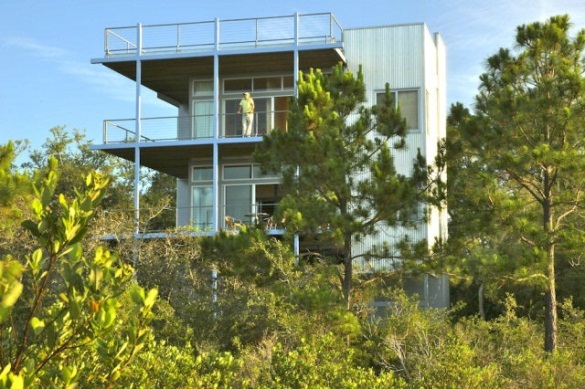 Missile-Proof Window Home in Cedar Key, Fla. The Skinny: The name of this place kind of says it all, doesn’t it? 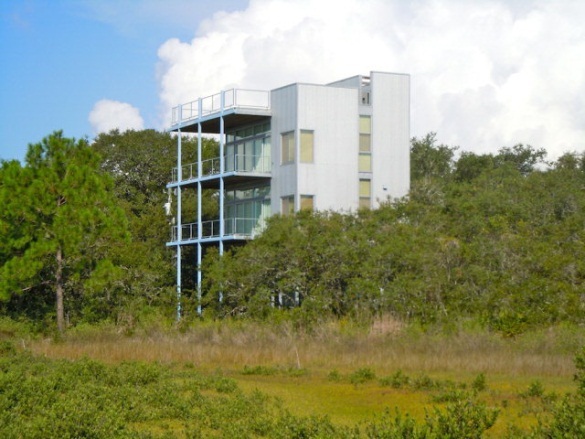 Bonus Zombie Defense Feature: Double-lock ship’s doors and Galvalume siding make this one pad that the walking dead wouldn’t want to mess with — or the living (makes you question, doesn’t it?). Fortified Manse in Los Angeles, Calif. The Skinny: This crazy compound is the (paranoid?) masterpiece of one AI V. Corbi, the founder of a company called SAFE (Strategically Armored & Fortified Environments) that specializes in stuff like mounting lasers on sharks, building missile-proof yachts, lining Cadillac Escalades with tank armor, panic rooms, etc. 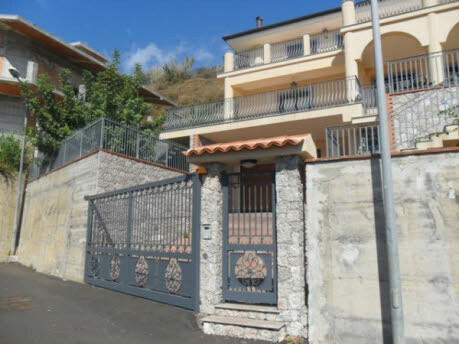 It’s also set on a private hilltop behind a pair of gates, and has a helipad (paranoid it is). 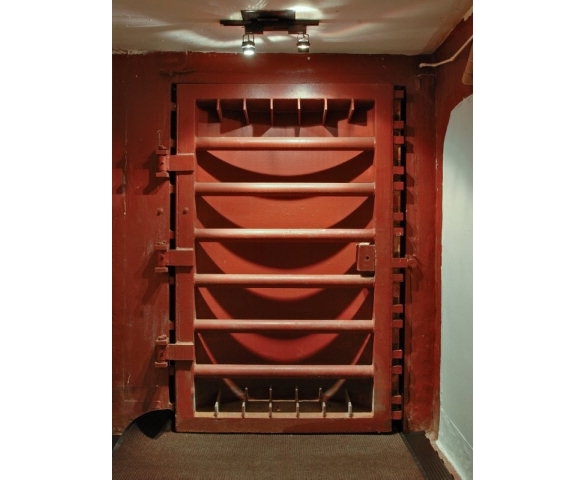 Bonus Zombie Defense Feature: Not one but two panic rooms and a pair of "safe cores," which is, basically, when all the bedrooms go on lock-down mode with the twist of a doorknob. 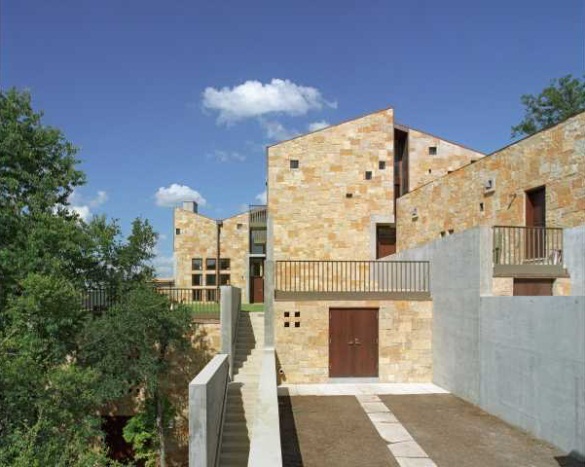 The Skinny: A heavy mix of wrought-iron fencing and concrete form the outer shell of this three-floor compound. 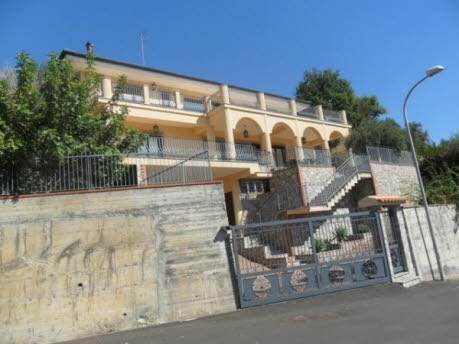 Bonus Zombie Defense Feature: Beyond its formidable exterior, this little Italian villa has its own lift that extends to the roof. Plus, it’s in Italy, and if I’m going to have the flesh peeled from my bod by the jaws of zombies, that’d be the place I would like it to happen. Wouldn’t you? 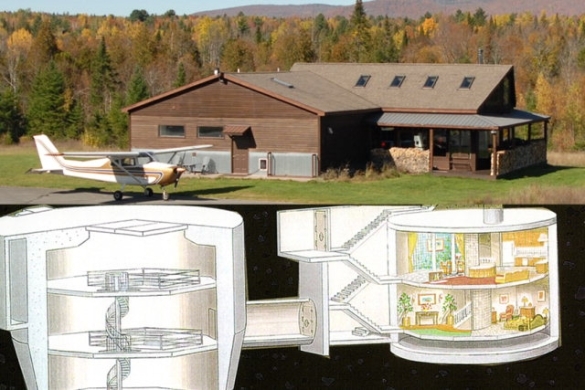 Nuclear Missile Silo Home in Saranac, N.Y. Bonus Zombie Defense Feature: Paved air-strip gets a nod, but the real bread and butter is the former launch control center that sits behind doors made of 3-inch concrete and mesh, 125 feet below the earth. Oh, and there’s a Jacuzzi down there, too. Hell yeah!! 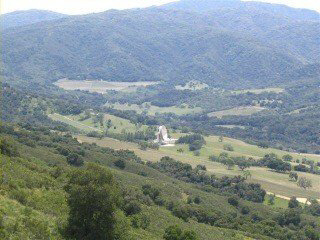 Jamesburg Earth Station in Carmel Valley, Calif. 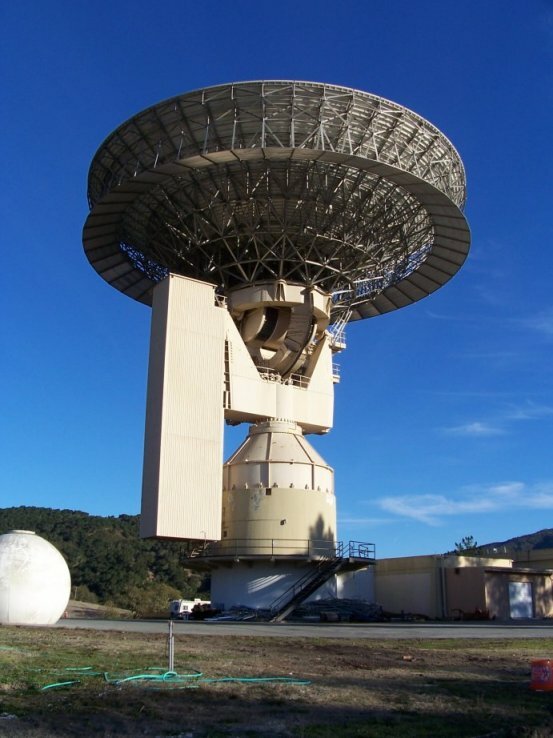 The Skinny: A former satellite relay station commissioned during the Kennedy administration that’s loaded with tons of tech crap (albeit dated tech crap). 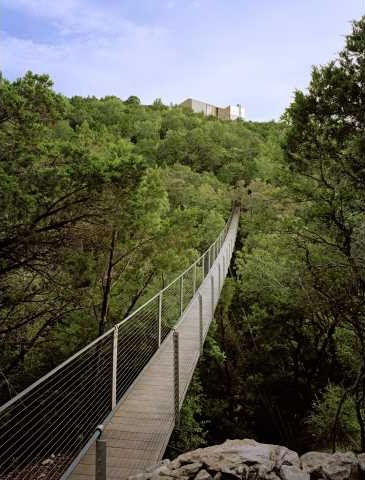 Other amenities include a 97-foot satellite dish, helipad, on-site gym and power generators. Bonus Zombie Defense Feature: If you manage to get this thing running, you might be able to contact an extraterrestrial life force to do one of two things: 1) kill the zombies or 2) repopulate the earth with half-human, half-alien beings. Or a third thing: beam you up to the alien world and start over with a "Star Trek" life. That’d be pretty cool. 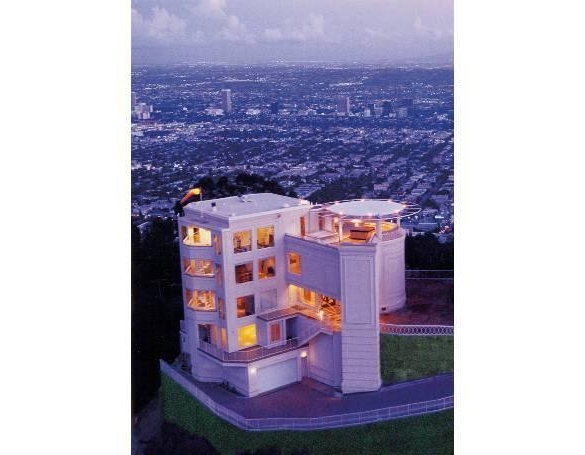 "San Francisco’s Le Petit Trianon On Market For $25 Mil"
"Redone Lakeside Home – With Its Own Funicular Train! – In Michigan"
"Rumored Party Place Of George Washington For Sale In Virginia"